Every month seems to bring recognition of some noteworthy cause or group. 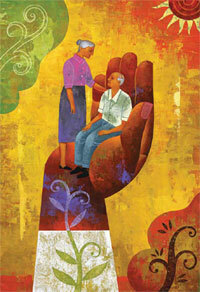 November is marked as National Caregivers Month. Anyone who is, or has been, a caregiver understands the many demands, few rewards and innumerable tasks involved in helping an impaired loved one on a day-to-day basis. Resources and helpful info is out there but it’s often hard to know where to start or what to trust. The National Institute on Aging is a good place to begin- its website provides useful lists, publications, fact sheets and links to other websites and support groups, some broken down by diagnosis, setting or task. So reach out for help, and Read Here.